St Andrews New Kids are the 2013/14 Dundee and District Table Tennis Association Secondary Shield winners after comfortably overpowering fellow stable-mates, Prefects, 5-0. This is the first time in living memory that two teams from St Andrews have met each other in a cup final. Although runners-up on several occasions, it was more than 10 years ago in season 2002/3 that the St Andrews club last won the Secondary Shield. The final took place at Ward Road, Dundee on 16 December. Lining up with Pete Bladen, Elaine Forbes and Nick Shepherd, the Kids won the first group of three games relatively comfortably. 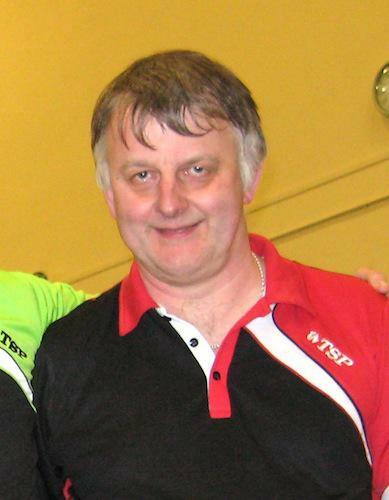 The fourth game of the night however saw Howard Lee stretch Pete Bladen the full distance, only losing 10-12 in the fifth set. Ian Smith and Ken Falconer also battled hard for Prefects but they were unable to win a consolation point. It was tough for the Prefects, but New Kids are a class act and thoroughly deserve the plaudits. Pictures of the two teams are below. Can you guess which team won and which team lost? The last competitive match of the calendar year took place, also at Ward Road, on Tuesday with fourth division Prospects up against third division frontrunners Barons in the third round of the Stanley Doubles Cup. Barons had prepared the night before by winning the Consolation Cup. Despite their best efforts Dave Beveridge, Neil Lea and Vuksan Mijovic were cuffed 0-5. However, the scoreline was harsh on the St Andrews’ team who won some terrific rallies and a few sets on their way to cup oblivion. So, at the half way stage of the season, St Andrews teams sit as Secondary Shield winners, Secondary Shield runners up, Division 2 leaders and ivision 4 promotion contenders. 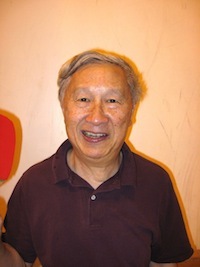 In addition, three players (Elaine, Pete and Neil) are unbeaten in all league matches. Roll on January. 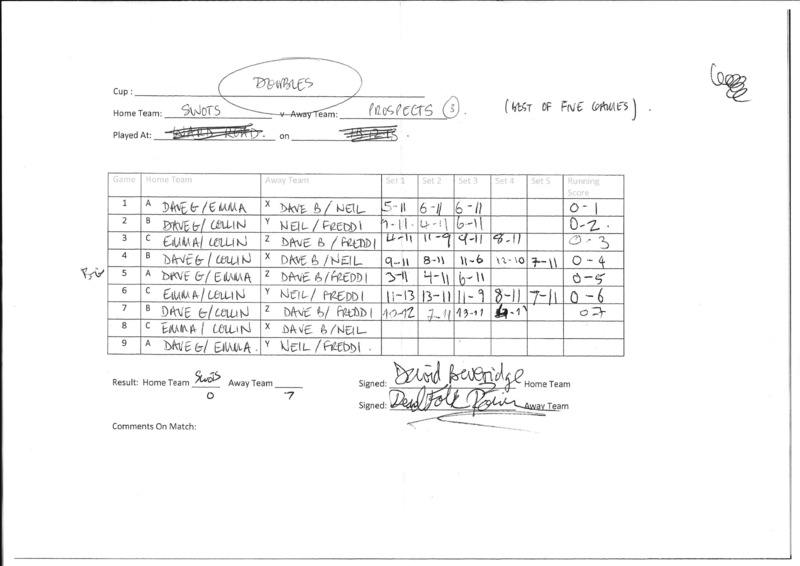 This entry was posted in Match reports, St Andrews Table Tennis Club on December 19, 2013 by standrewstt. In a friendly doubles match between the Swots and the Prospects, it was Prospects who dominated their higher ranked opponents with a ruthless 7-0 clean sweep as illustrated below. 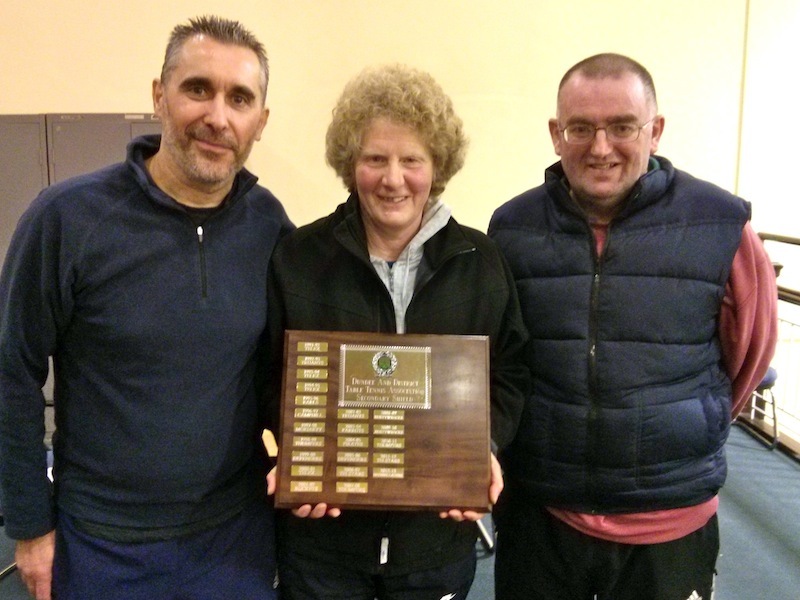 This entry was posted in Match reports, St Andrews Table Tennis Club on December 15, 2013 by standrewstt. 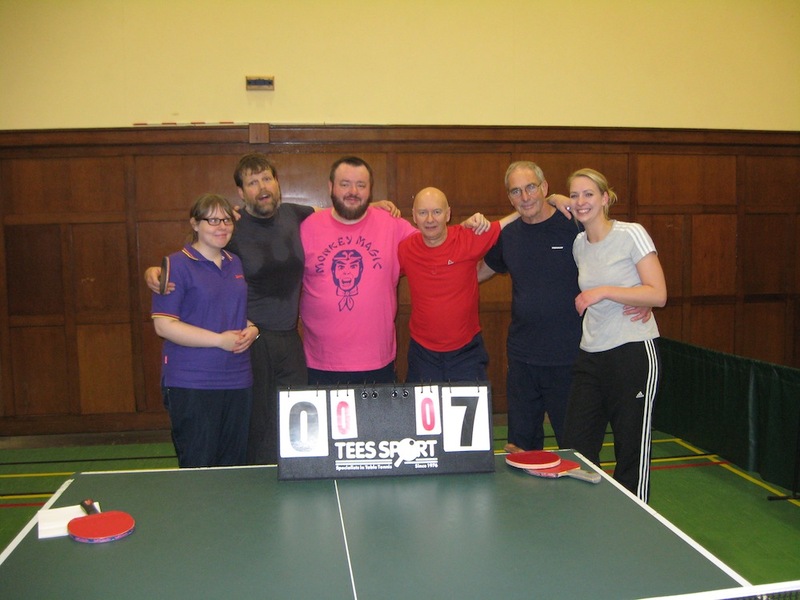 The second week of December was the busiest and arguably the best of the season so far for the teams from St Andrews table tennis club. The undisputed highlight of the week was New Kids and Prefects both winning their Secondary Shield semi-finals to set up a local derby final showdown. Both semis were played at Ward Road, Dundee on Monday with New Kids (Pete Bladen, Elaine Forbes and Nick Shepherd) defeating Rockets 5-1. Fortunately, the result was beyond question before Elaine had to risk spilling family blood against her sister, Rockets’ Carol McLean. Prefects (Ken Falconer, Ian Smith and Howard Lee) ended Blackness’s interest in the Shield. The match was tight at 3-2, with Blackness showing why they are fourth division front-runners, but Ian and then Howard showed good form to win games six and seven to stretch Prefects’ tally to an unassailable five points. New Kids will be hot favourites for the final, but expect a battling performance from Prefects. Earlier in St Andrews on Monday, the youngsters coaching group had their last session of the term. 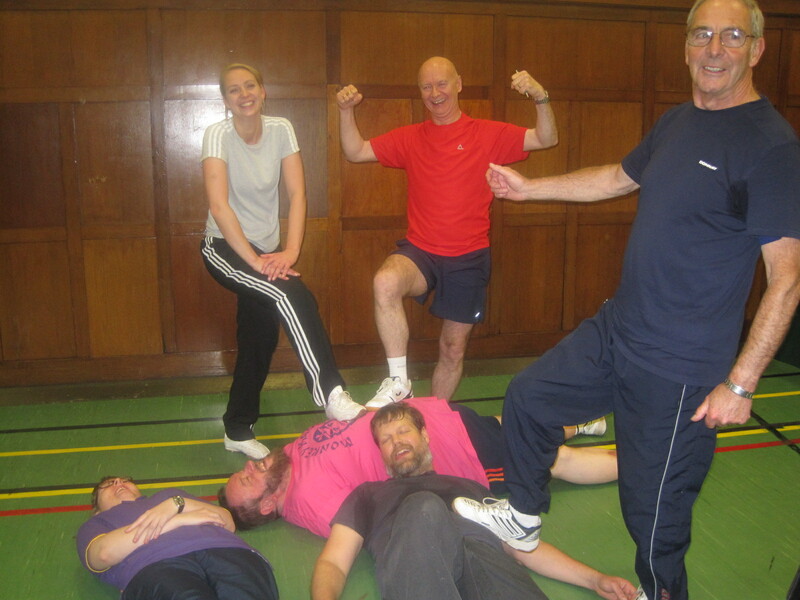 Coach Elaine Forbes organised some fun and games to go with the more serious stuff (is it ever serious)? The winner of the Christmas skills night was Greg Hughes with Jamie Veitch in second place and Zac Ho third. The youngsters then cleared the hall to allow Prospects (Neil Lea and the German pairing of Freddi Beinke and Maxi Strobl) to take on Princes for the second time this season in a division four league match. Prospects repeated the previous score-line of 7-3 with Freddi and Neil both snatching impressive wins against Princes’ star, Blair Duncan, who had won all of Princes’ points in the away fixture. Neil is now the only player in division four who has yet to lose a league match this season. Neil and Maxi strolled through the doubles game in straight sets. At 7-1, Prospects’ promotion bid looked like taking an even bigger boost but the young Princes came up on the blind side to win the last two games. Prefects (this time lining up with Ken, Howard and penholder Kong Wan) were back across the bridge to Ward Road on Tuesday where they narrowly lost 4-6 to the Chieftains in Division 2. Prefects were playing catch up all night after it took until game four for Howard to get them off the mark with a fine win in five sets. Ultimately, all three St Andrews’ players contributed to Prefects’ final tally, with Howard winning twice. Finally, on Thursday, Ward Road was the venue again for New Kids’ Division 2 away match against Thumpers. Showing little sign of fatigue, or mercy for the opposition, Pete, Elaine and Nick turned in another professional performance to thoroughly thrash the Thumpers 9-1. Pete and Nick were this week’s successful doubles pairing for New Kids. You have to feel sorry for Nick, who is consistently turning in a terrific two wins out of three singles games, but has to watch his teammates return hat-tricks every week. Go Nick! So, five matches, four wins and a local derby cup final to look forward to. Not too shabby. The first week of December is reserved for the second round of the Stanley doubles cup. With Prospects already through to round three after playing their tie in early November, and New Kids unable to field a team, only Prefects and Swots took to the tables on Monday night at Victory Memorial Hall. Prefects took on fellow second division outfit Kingsway from the Tayside Fire and Rescue Club and lined up with Kong Wan (mercifully recovered from last week’s nasty head knock), Ian Smith and Howard Lee. The St Andrews trio offered no mercy to the firemen, dispatching them with five straight wins, none of which took more than 4 sets. Final score 5-0. Third Division Swots fielded their normal line up of Collin Bleak, Dave Goddard (mercifully recovered from his nasty man-cold) and Emma Bisset. The scoreline was the same as the adjacent table but unfortunately it was Missiles that took the five straight wins at the start of the game and they ran out comfortable winners. So, Prefects join Prospects in round three. Swots have a free week next week but the others will be back in action in the league and cup. 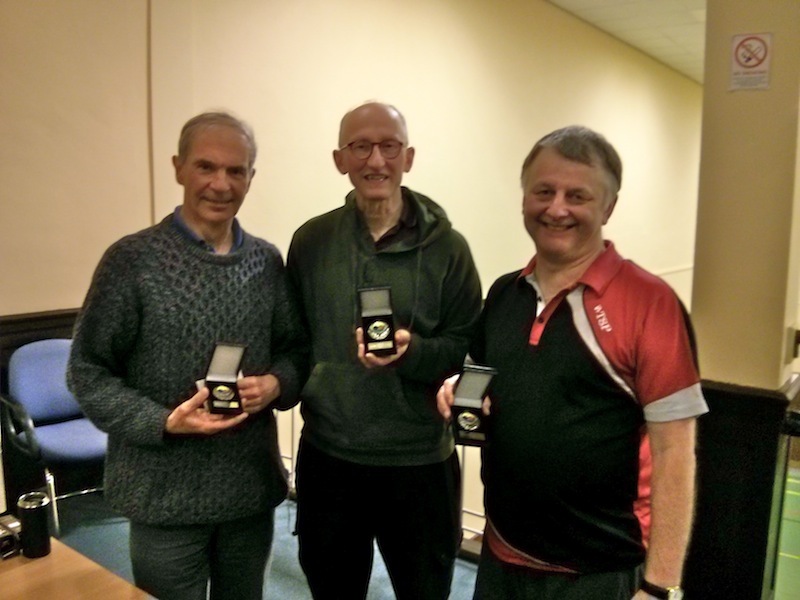 This entry was posted in Match reports, St Andrews Table Tennis Club on December 3, 2013 by standrewstt.